Colvin and Fuller are with the Courage Foundation, which supports whistleblowers and which has helped lead the campaign against Love’s extradition. Fuller is formerly with the Manning Support Network. 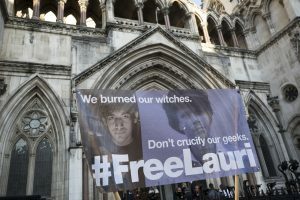 “This ruling marks the first successful use of the forum bar, created in the wake of Gary McKinnon’s case, to protect a UK citizen from being unduly extradited to the United States. It also throws much-needed light on the U.S. prison conditions, so lacking in adequate medical care as to put suicidal inmates at further risk.